A virtual reality app developed by GIBLIB will allow medical students to experience an operating room environment. GIBLIB, a streaming media platform specialized in developing 4K and 360-degrees medical lectures, now has a better solution. The company developed a virtual reality app that simulates an operating room and helps physicians train for various surgeries. Every surgeon knows that there is a huge difference between training on reproductions of the human body and a real life operating room. Unexpected situations can occur, and the doctors have to react quickly in order to save a patient life. Thanks to the virtual reality app developed by GIBLIB, future generations of physicians will be better prepared to deal with these situations. The app takes medical students into an immersive environment that perfectly emulates an operating room. They can train for various types of surgeries and experience various situations, such as complications and life-or-death decisions. Instead of simply watching a surgeon perform the surgery, they can perform it under guidance. And even if they make a mistake, it will have no real life consequences for another human being. GIBLIB focuses on quality and accuracy in the VR videos they develop. The company works with top level hospitals, such as Cedars-Sinai and Stanford Children’s Hospital, as well as with various academic medical centers. So far, they’ve created a series of surgical videos and medical lectures delivered by the best physicians in the world. The virtual reality app is the first 360-degree emulation of an operating room. Apart from the future surgeons, nurses and other medical staff attending surgeries can also benefit from advanced training using this app. 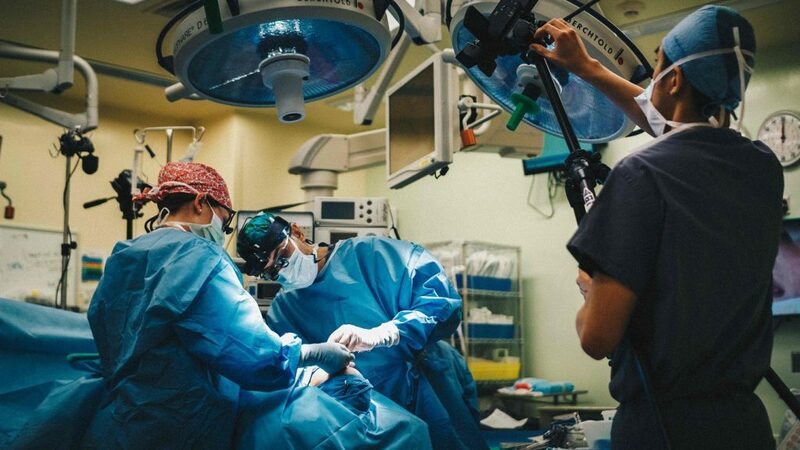 They will learn how to work as a team and become familiarized with the most recent surgical techniques, including robot-assisted surgeries. GIBLIB’s virtual reality app is only one of the many applications of new technologies in healthcare. Both VR and AR help physicians and other medical practitioners communicate with patients, diagnose illnesses and administer treatment. The ability to train by trial and error with no real-life effects is extremely valuable. By the time they start interacting with patients, doctors are already experienced and confident in their specialty. The virtual reality app developed by GIBLIB is available in the Oculus Store. Just like the rest of the content developed by the company, the app can be directly accessed by anyone who has VR equipment and GIBLIB platform subscription.